The Smart Dining Chair by Zuo brings big style to your dining space. 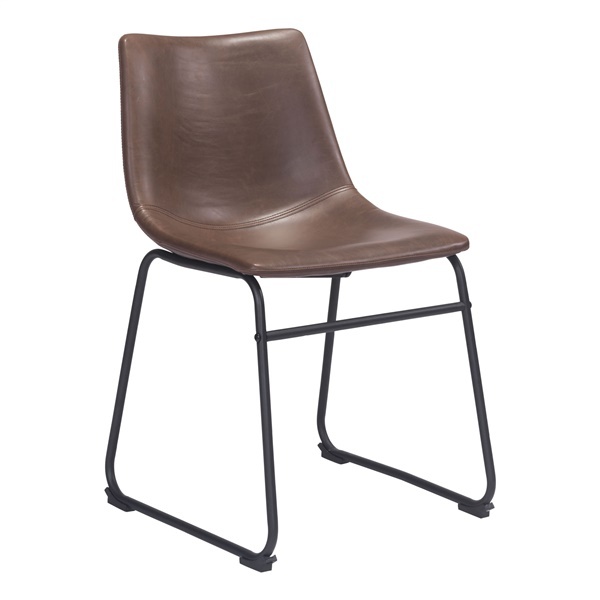 Its sleek and slim black metal base is strong and supportive while its molded seat contours your body for comfort. Available in distressed white or brown leatherette, this seating option will give your guests a modern dining experience.